By seventh grade, students should be refining the core writing skills of brainstorming, researching, outlining, drafting, and revising. 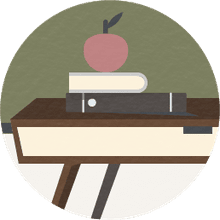 In order to hone these skills, seventh-grade students need regular practice writing a variety of essay styles, including narrative, persuasive, expository, and creative essays. 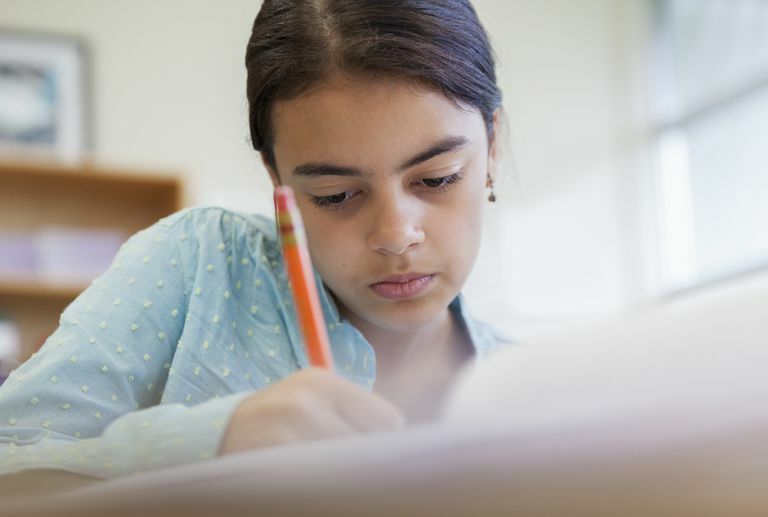 The following essay prompts offer age-appropriate starting points to help seventh graders flex their writing muscles. Narrative essays share a personal experience to tell a story, usually to make a point rather than merely to entertain. These narrative essay prompts encourage students to describe and reflect on a story that's meaningful to them. Embarrassing Pasts - As people get older, they are sometimes embarrassed by things they used to like, such as toys, television shows, or nicknames. Describe something that you used to enjoy that you now find embarrassing. Why is it embarrassing now? Bonds of Hardship - Sometimes difficulties draw families closer. Describe something that your family endured together that strengthened your relationships. There’s No Place Like Home - What makes your hometown special? Explain this special quality. New Kid in Town - Being new to a town or school can be challenging because you don’t know anyone, or exciting because no one knows you and your past. Describe a time when you were the new kid. Finders Keepers - Write about a time when you lost (or found) something of value. How did that experience affect your opinion of the saying, “Finders keepers; losers weepers”? Follow the Leader - Describe a time when you were in a leadership role. How did it make you feel? What did you learn from the experience? April Fools - Write about the best prank you’ve ever played on someone (or had played on you). What made it so clever or funny? Bon Appetit - Special meals can be powerful memory-makers. Write about a specific meal that stands out in your memory. What made it so unforgettable? Bon Voyage - Family trips and vacations also create lasting memories. Write an essay detailing your favorite family vacation memory. Batter Up - Write about a valuable lesson that you learned while playing your favorite sport. Best Friends Forever - Describe your friendship with your BFF and what makes it so important to you. The Real Me - What is one thing you wish your parents, teachers, or coaches really understood or knew about you? TV - Explain what makes your favorite television show so enjoyable or relatable to you. Persuasive essays use facts and reasoning to convince the reader to embrace the writer’s opinion or take a course of action. These essay prompts empower seventh graders to write persuasively about an issue they genuinely care about. Outdated Laws - What is one law or family or school rule that you think needs to be changed? Convince lawmakers, your parents, or school leaders to make the change. Bad Ads - Advertising can have a powerful impact on consumers. What is a product that you’ve seen advertised that you don’t think should be? Explain why the media should quit showing these ads. Puppy Love - You want a pet, but your parents don’t think you need one. What would you say to change their minds? Lights, Camera - What is your favorite book of all time? Write an essay convincing a producer to make a movie about it. Snooze Button - Studies have shown that tweens and teens need more sleep. Write a proposal for a later school start time. Body Shop - Magazines can negatively impact their readers’ body image by using edited images of models. Convince a teen magazine publisher that they should not use heavily-edited model images in their publication. It Can’t Be Over - The network is canceling your favorite television show. Write a paper convincing the station that they’re making a mistake. Curfews - Some malls have policies forbidding kids under 18 to be at the mall without adult supervision during certain times. Do you think this is fair or unfair? Defend your position. Team Spirit - Should homeschooled students be allowed to play sports on public or private school teams? Why or why not? Smartphones - All of your friends have the latest smartphone, but you only have a “dumb phone.” Should your parents upgrade your phone, or are smartphones for middle school kids a bad idea? Bullies - Some dogs, such as pit bulls or Dobermans, are labeled “bully breeds.” Is this label deserved or undeserved? Money Can’t Buy You Love - People say that money can’t buy happiness, but some studies have shown that people with higher incomes may be happier. Do you think this is true? Why or why not? Ratings - There are age restrictions on movies and video games, ratings on television shows, and warning labels on music. Computers and smartphones offer parental controls. Do adults have too much control over what kids watch and listen to or do these restrictions serve a valuable purpose? Expository essays describe a process or provide factual information. These prompts can serve as jumping-off points for the explanatory process. School’s in Session - Would you rather attend public school, private school, or be homeschooled. Explain the benefits of your choice. Admiration - Who do you admire from your life or history? Write an essay describing how their character or contributions to their community have earned your respect. Global Community - If you could live anywhere in the world, where would you live? Write about your dream hometown and why you want to live there. Peer Problems - Peer pressure and bullying can make life as a middle school student difficult. Describe a time you were pressured or bullied and how it affected you. Order Up - A friend wants to learn how to make your favorite food. Detail the process, step-by-step, so your friend can recreate the dish. Addictions - Many people are impacted by drug or alcohol addictions. Share facts about how the use of these substances negatively affects families or communities. Serve Others - Community service is a valuable experience. Describe a time you volunteered. What did you do and how did it make you feel? City or Country Mouse - Do you live in a big city or a small town? Explain why you do or don’t like living there. Aspirations - What do you want to be when you’re an adult? Explain why you’d choose that career or what you’ll do to prepare for it. Point in Time - Sometimes people bury time capsules so future generations can learn about the past. What would you include to give an accurate snapshot of life in the current time? Hobbyist - You’re friend wants to take up your favorite hobby. Explain it to him. SOS - A natural disaster has destroyed homes and businesses in a nearby city. Describe what you can do to help. Wonder Twin Power - Some superheroes can fly or become invisible. If you could have any superpower, what would it be and why? Creative essays are fictional stories. They use plot, character, and dialog to engage and entertain the reader. These prompts will get the creative juices flowing. Fan Fic - Write a story about your favorite characters from a book, film, or television show. Cats vs. Dogs - You have two pets of different species. Write a story from their point of view about a day at home alone. Time Travel - You find a time machine in your backyard. What happens when you step inside? Dream State - Think about a time when you woke in the middle of a vivid dream. What would have happened if the dream hadn’t been interrupted? New Door - You’ve just discovered a door that you’ve never seen before. What happens when you walk through it? Secret Keeper - You find out your best friend has kept a secret from you. What is the secret and why didn’t your friend tell you? Fridge Fun - Write a story from the perspective of an item in your refrigerator. Desert Island - You’ve just discovered an uncharted island. What happens next? Fly on the Wall - You see two people talking excitedly, but you can’t hear what they’re saying. Write a story about what they might be saying. Special Delivery - You receive a battered package in the mail. Write a story about its journey from the sender to you. A Mile in My Shoes - You find a pair of shoes in the thrift store and put them on. Suddenly you find yourself transported into someone else’s life. Describe what happens. Mission to Mars - Imagine that you’re a pioneer to start a colony on Mars. Write about a typical day on your new planet. Snow Days - You find yourself snowed in for a week with your family. There is no electricity or phone service. What do you do for fun?